After you read this, read my latest update. A letter to my pastor……persuasion, to not read any other versions of the Bible, Besides the King James Bible. Here in the latest link, I give more information, to justify my thoughts in this. Just copy and paste this link here, to your browser. This is the most important posting, I have ever written, because it deals with Gods word. Acts 8;37 And Phillip said, If you believest with all thine heart, thou mayest. And he answered and said, I believe that Jesus Christ is the Son of God. 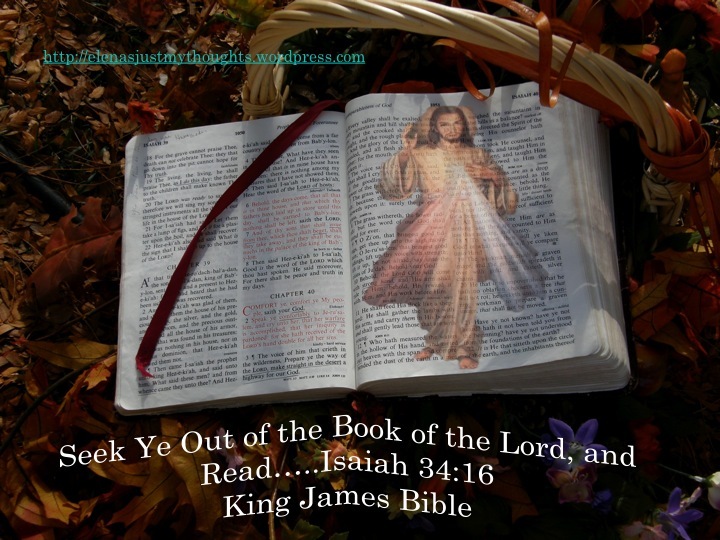 Do I believe there is a conspiracy, between the King James Bible, and the NIV Bible? Yes, I believe that now. It has always been a battle between God and the devil. Good and evil. But when I see Gods word, originally, in one version, of the King James Bible, and then, it is no longer in the NIV Bible, eliminated, I cannot help but conclude, it is a conspiracy. For from now on, when I see this scripture, listed above, I will always recall, that it was removed from the NIV Bible. Identification, that Jesus Christ is the Son of God. Totally omitted, taken out, discarded, removed. Why? And this is not the only scripture, I am finding, in my research, that has been either omitted, or where words were actually removed. I believe there are many missing scriptures. And countless verses, where the meaning has been changed. Is it a conspiracy? I don’t know what else to elude this to. How can it be an oversight? But all I want to do, is bring it to your attention. And you decide. I am not judging you, if you choose to believe me or not. Its up to you. And I am not judging you, if you choose not to listen and change Bibles. Thats not my job. To judge. So please do not argue with me about this, because I am just saying already, I will not dignify any kind of a negative response, that goes against my feeling in this. Gods word is Holy, and it grieves me to see it compromised. So my mind is made up. So just know, I will not debate this. Because this is a fact. I am not making it up, and the evidence is between the two Bibles. This is between God, and the devil. And I know who loses, at the end of the Book, and its not God. It is about seeing truth, and making a choice. It is always a choice. But I will share, this for you to make your own choice. For it is fact. I am not making this up. You can verify yourself, by getting the two Bibles, and seeing the discrepancies, the differences between the two. 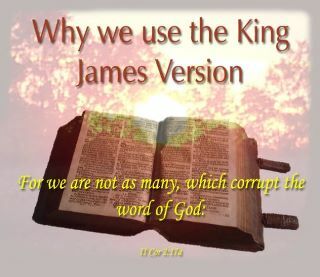 My goal, in writing this posting of “Just My Thoughts.” is to prove, beyond a shadow of a doubt, that when the word of God has been compromised, by removing or adding anything from Gods word, the King James version, it has been corrupted. By hands, used by the enemy. Whether they know it or not, anyone who tampers, with the word of God removing scripture, or denoting a word here and there, adding, is trying to change the true recipe. And it is not the same. It does not taste the same. It is spiritual food, and they are messing with Gods prize winning recipe. According to Almighty God, and according to his Word. And anyone, who would continue to use a Bible, that has been tampered with, is not seeing the facts. And making a choice, one that I would not recommend. But I am not you. I will from hereon, because of this evidence, use the King James Version. KJV-PROVERBS 30:5-6 EVERY WORD OF GOD IS PURE: HE IS A SHIELD UNTO THEM THAT PUT THEIR TRUST IN HIM. ADD THOU NOT UNTO HIS WORDS LEST HE REPROVE THEE, AND THOU BE FOUND A LIAR. Who would want to be called a liar? I certainly would not. But here the word of God according to the King James version warns again, anyone who would do this is a liar. So, I know, here I must be careful. I must bring truth, but bring the comparision. To see the difference. To see the discrepencies. To see the motive of the devil. So Gods Holy word, and truth can speak for itself. For it is Holy. I must speak this in love. And reserve any judgment, to God. For I am not a judge. I am just a sinner, who was saved by Gods grace. So, I cannot say, where people, will stand with God in this. I will just say, again, it is a choice. It always has been a choice. We either choose life, doing things Gods way, or we choose death, doing the devils way. And that sounds so harsh, and hard, but it is true. According to Gods standards. For He is not mocked. I am not a Theologian. I haven’t studied, the history of the Bible, the transcripts, from the Hebrew translations, to Greek etc. I just know, enough, of Gods word, to see discrepencies. Right here, and right now. Where it affects my learning, my spiritual growth, and yes, others. So they will not be deceived. So we can all see, the lies of the devil. I can only list a few by the example. Due to the large quanity omitted. But I will share, for your own considerations, a list below. Between, the King James Bible, and the NIV Bible. And because I am seeing these things. I share with you questions, even here to ask yourself. 1. Where else, would the devil tamper, with truth, but in the word of God? And if he could get away with it subtly, and people would not know, would he not deceive? Is that not who he is a deceiver? That would just serve the devils purpose, if he could get away with it. 2. What purpose, would any one have to changing the Bible? Money. If a Bible publisher, could change the wording, for everyone, little by little. They would have a user-friendly Bible. One, everyone could understand. The Bible warns us, that we are in end times. And that the goal of the anti-Christ, is to have one religion, one people united. How else could they do that, but by compromising the word of God. Here and there, over and over again. A little removal, more and more. With each publication, with each printing. Till they come up with a “New Age” Bible, or an all religion Bible. Removing truth, removing Gods word, by adding this or that…..Go to your bookstore, where they sell Bibles, and see for yourself. That this Bible, the NIV is more in supply, than the KJV. People want the easy way, to understand God. And in doing so, the enemy, is luring them. But it is in Gods word, not to change or add words to His Holy Word. For I testify unto every man, that heareth the words of the prophecy of this book, If any man shall add unto these things, God shall add unto him the plagues that are written in this book: And if any man shall take away from the words of the book of this prophecy, God shall take away his part out of the book of life, and out of the holy city, and from the things which are written in this book. If you ever wondered if one could lose their salvation, this scripture, is pretty clear about it. So this is very serious. Very serious indeed a matter of hell and heaven, serious. For it states one could get their name out of the book of life, and lose their way to the Holy city. By adding or changing it. So that would apply to using another version, when it states it here, in the King James Bible. I would not chance this. This is very dangerous to gamble on the validity of another Bible version. And Jesus answered and said unto him, Get thee behind me, satan; for it is written , Thou shalt worship the Lord thy God, and him only shalt thou serve. Jesus answered, “It is written: Worship the Lord your God and serve him only. I find it odd, that the authority, so given from Jesus, to tell the devil, get thee behind him, is taken away. And that the devils name is also taken away. I have prayed that scripture many a time, knowing it by the King James version. Commanding the devil to get behind my Jesus, because I know Jesus has my back. For someone, who does not know the scripture, would not know, they would also have that authority. Because it is eliminated. Here is another one, where the devils name has been removed. How art thou fallen from heaven, Oh Lucifer, son of the morning! How art thou cut down to the ground, which did weaken the nations! How you have fallen from heaven, Oh morning star, son of the dawn! You have been cast down to the earth, you who once laid low the nations! Who are they talking about in the NIV? Dear ones, to eliminate Gods adversary’s name, is not giving the reader, identification, or information to know the name of the enemy. Just in those two scriptures the devils name is eliminated. I am glad, I know, the King James version. SO, I GUESS THE QUESTION IS, WHEN YOU DON’T KNOW THE RIGHT VERSION. WHO WOULD YOU LOVE? The following scriptures have been eliminated from the NIV Bible. I am listing them here, according to the King James Bible. Matthew 17:21 Howbeit this kind goes not out but by prayer and fasting. Matthew 23:14 Woe, unto you, scribes and Pharisees, hypocrites! For ye devour widows houses, and for a pretence make long prayer:therefore ye shall receive the greater damnation. John 5:4 For an angel went down at the a certain season into the pool, and troubled the water; whosoever then first after the troubling of the water stepped in was made whole of whatsoever disease he had. Acts 24:7 But the chief captain Lysias came upon us, and with great violence took him away out of our hands. Mark 11:26 But, if ye do not forgive; neither will your Father which is in heaven forgive your trespasses. As I conclude: I cannot help but be grieved in my spirit, to see these missing from Gods Holy word. And God only knows what else is missing. How that must anger him. For each one of those scriptures, in some way or another by Gods Holy spirit, would bring truth, and light, revelation, of the power of God. Of who He is, and that it would bring such a wonderful sense of understanding. I cannot help and see as well, that the authority, and the majesty of God is detracted. Taken away from one lesser degree, to who my Lord Jesus really is. And because I know my Lord God, my Jesus, and the Holy Father, who has many names. Revealing who He is. I know, that God is not mocked. And I know, His word is pure. And I know, even by departing from the NIV in just a matter of days, I am hearing His true voice, so much more clearly. Our family, daily, Bible reading had been based on the NIV. For the most, part, I am a King James Girl. Most of my writings are based on the KJV. But when we read as a family, we used the NIV. All I can say, is the confusion, or the lack of guidance is not in my heart now. The battle within is gone. PRAISE GOD! I cannot explain it. I feel released. I feel like I took a shower in light. In fact, the morning I discovered these discrepancies, I dreamt, I had been baptized in light. I know, God is not pleased, with the alteration of His word in any form. We have no way to see, what was done, before the translation of the King James Bible. But we do have here a point of reference, a point of understanding to see the discrepancies, and to see the word altered. Right now, between the King James Bible, and the NIV. If we truly love God, we will listen, and depart from using something that has purposely been altered to bring Gods truth. Thats my thought. But it is your choice. It always has been a choice. Between good and evil, Gods truth or the lies from the devil You have to make up your mind. I have been a Christian for many years, at least 30 good years, where I have, walked with God. Not my way, but his way. And I have never heard of this until now, recently. And when I did, I tried to tell others in a small group, and my message, my whistle blowing, was not received, well. Among other Christians. We should be hearing this from the pulpit. And I have never heard this. This bothers me. Because people should know the difference. They should know the truth. I ask, because of my Lords sacrifice, on the cross, please bring this to your pastors attention. Our Jesus died for us, for our sins. We should be honoring him, by living life holy. Please say something to your pastor. Say it to your friends. So others can know. Yes, I came from the place, where I had used it, because I thought the language of it, would bring clearer understanding. But I never would have believed in a million years, that they took out scripture, and detracted the authority of my Jesus. No I will never use the NIV Bible again. Nor any other translation, because to be honest with you, I do not have the time, to invest, to test the spirit of a Bible, or the integrity, to see if words have been omitted, changed, rearranged etc. So I will just trust the King James version. For a moment, there, my husband and I felt deceived, because we never knew this. But I do thank God for his grace, that does bring truth. I will from hereon, only use the King James Bible. The Holy Bible, I will use to hear my Lords voice. I will not drink from the devils cup, and the Lords cup. (Read I Corinthians 10:21 King James Version) Drinking from both cups. That brings confusion, and thats what the devil wants to do here. Remember, Gods word, is spiritual food. So, No, I will not mix the two versions. I want to hear Gods voice clearly, as much as I can on my part. The rest is up to him. By his word. By His holy word, that has not been compromised. May God bless you, I pray, you take this to heart, and make the right choice. Above, I ask the question is your Bible still holy? If it is the NIV I don’t believe so. I don’t feel it in my heart. But thats between you and God again. It is a choice. Remember this, God does not change, He is the same yesterday and tomorrow. And the word has told us, that the word of God, is a two-edged sword. Hebrews 4;12. KJV. Don’t go out into the world, with a rubber sword. You won’t get the same results…. I will never take for granted what Christ has done for me personally. His truth, has set me free. His life, was an example of how to live. To love, God, with all our hearts, souls and minds. To love one another. He said He did not come to abolish the law, but to fulfill it. He said in Matthew 22:29 King James Version. Jesus answered, and said unto them, Ye do err, not knowing the scriptures, nor the power of God. Christ greatly suffered, and died for us. A sacrifice, that can never be done again. When He died, He said; “It is finished.” He died, and was buried, and on the third day, he arose, and had the keys from hell. His true word, is a key for all of us. To know what the scriptures say. I do not want to “err” in life anymore. 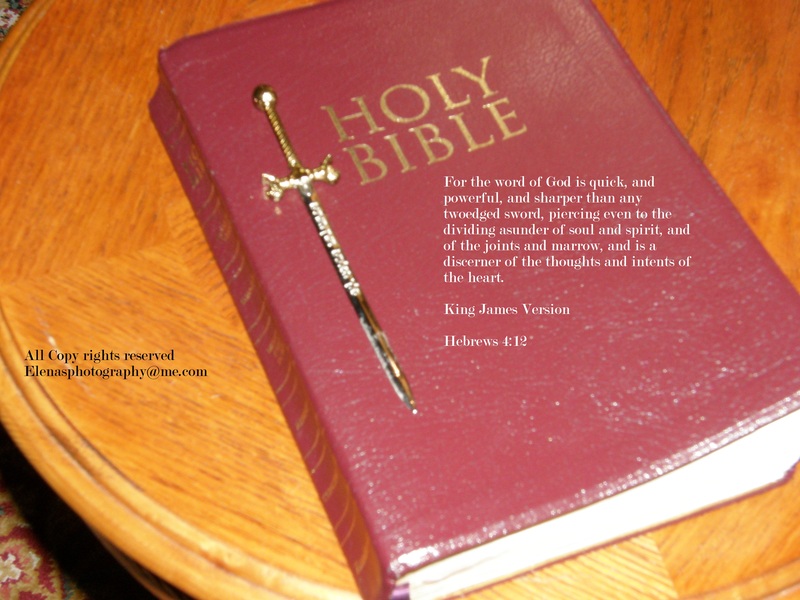 I plan to use The King James Bible….To His Glory, Honor, and Praise. Deuteronomy 4:2-6 Ye shall not add unto the word which I command you, neither shall ye diminish aught from it, that ye may keep the commandments of the Lord your God which I command you. Your eyes have seen what the Lord did because of Baal-peor: for all the men that followed Baal-peor, the Lord thy God hath destroyed them from among you. But ye that did cleave unto the Lord your God are alive every one of you this day. Behold I have taught you statutes and judgments even as the Lord my God commanded me, that ye should do so in the land whither ye go to possess it. Keep therefore and do them: for this is your wisdom, and your understanding in the sight of the nations which shall hear all these statutes and say, Surely this great nation is a wise and understanding people. The enemy, does have counterfeits, and wants to call it truth, but it is lies. Please read my latest posts on this subject, discrepancies of the Bible. This photograph graphic is not my copyrights. And was referred to me, by a friend. This is my latest blog. A LETTER TO MY PASTOR. Well, my Pastor, does not believe me either, when I write about the truths, I have learned, about the different Bible versions. Here I try to give, more truth, more evidence. But to each their own. I will say this for the record. I do not judge anybody in this…..Pray about it. Do your own comparisons. Get the King James Bible. Read it for a time, and see the difference. 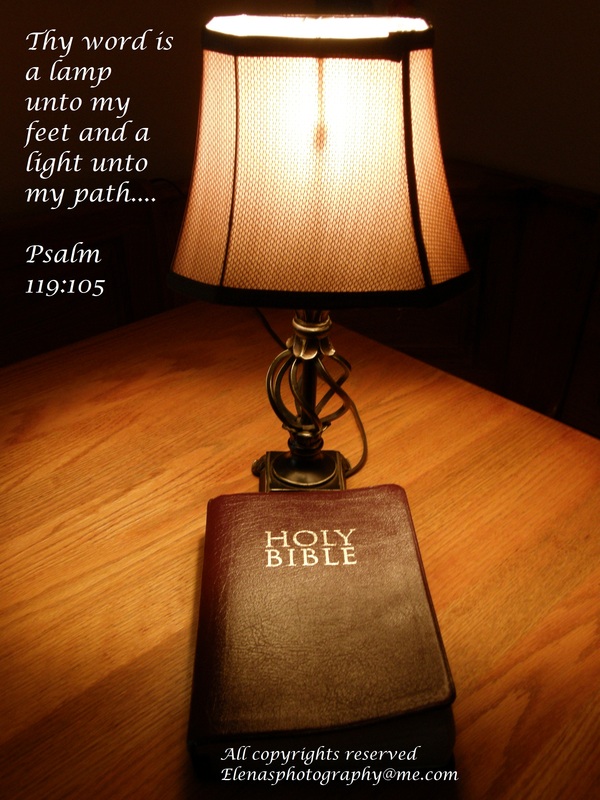 Read Psalms 119, of the KJV, and see what God wants of us, His servants to feel, about the word of God. PLEASE NOTE: AS OF TODAY, MARCH 4TH, 2012, (A YEAR AND THREE DAYS, SINCE I WROTE THIS) I HAVE BROUGHT THIS TO THE ATTENTION OF MANY LEADERS, AND YOU, AND MANY DO NOT AGREE WITH THIS. TO BE HONEST, I AM ADAMANT ABOUT THIS. I WILL NEVER CHANGE MY MIND ABOUT THIS. AND, TO EACH THEIR OWN. I AM NOT ANGRY, WITH ANYONE, OR JUDGING ANYONE. BUT IN MY PRAYING TIME TODAY, I ASKED THE LORD, AND THIS IS WHAT HE TOLD ME. FOR ANYONE WHO IS SKEPTICAL, ABOUT THIS, TEST GOD. TEST HIM. HE WILL ANSWER YOU, BECAUSE HE DOES SAY, IN HIS WORD, THAT HIS WORD, WILL NOT RETURN VOID. IT WILL PROSPER WHERE HE SENDS IT. ISAIAH 55:11. TAKE ONE SCRIPTURE YOU MAY STAND ON, AND THEN FOR ONE WEEK, MEDITATE ON IT, PRAY IT, OVER AND OVER AGAIN. USING THE NIV, OR ANY OTHER VERSION, YOU HAVE. THEN TAKE THE SAME SCRIPTURE, FROM THE KING JAMES BIBLE, AND SEE WHICH ONE GIVES YOU RESULTS. AGAIN, IN A PERIOD OF SEVEN DAYS. PRAY IT AND MEDITATE ON IT. DOCUMENT, WHAT YOU SEE, WHAT YOU FEEL, THAT GIVES YOU INSIGHT, A SENSE OF THE HOLY SPIRIT. REMEMBERING, EVERYTHING I HAVE SHARED WITH YOU, HERE, I JUST PRAY, TO NEVER LIMIT GOD, OR THE HOLY SPIRIT, BUT BY APPLYING HIS TRUTHS, FOR THE BEST RESULTS, BY HIS PURE WORD, AS FAR AS I CAN GO WHICH, IS THE KING JAMES BIBLE. BEFORE IT WAS TAMPERED WITH. IN THIS I BELIEVE, I CAN OBTAIN, MIRACLES, SEEING THE POWER OF GOD, BECAUSE I AM DOING MY PART. I WOULD LOVE TO HEAR, WHAT RESULTS, BROUGHT YOU AN ANSWER. Don’t Forget! Heres another link, that gives more reasons, why the King James Bible, is the only Bible one should read…. This entry was posted in Bible Conspiracy, change, Cross, deceivers, HALLELUJAH, King James Bible, NIV Bible, REVEALED, wicked, wisdom and tagged Bible, Christian, christianity, church, faith, God, LOVE, religion, salvation, TRUTH. Bookmark the permalink. ← WHAT IS YOUR SPIRITUALISM BASED ON? THE CLUE SIGNS…..
thank you so much, Elena.. I heard on TV , that in the last days, Bible will be altered…. And yes, I am an avid user of NIV..I am shocked and deceived, I am so much in dismay too, yes, when I verified, the stated verses are missing indeed…. I have ever since read this article, lost heart to read NIV bible. And put effort to read KJV. I somehow find KJV inconvenient to understand..But thankfully have verified that Gideons International have none of the verses missing… The Amplified Bible too have not compromised on the Word of God..
Now, I have found the true Word, and that which suits my understanding…. But thanks to you Elena…Keep up your good service to God. Amen, I am so glad that you are seeing this, too. God bless you. I love my King James Bible. Thank you for bringing this up Elena. While driving to work this morning I heard the KJV is getting “edited” by a group of people from diverse religions. For example, “young girl” will replace “virgin”. Young girls are not neccessarily virgins. I’ve read only KJV my entire life. Thank you Steve, the thing is there is no copyrights on the King James Version. The NIV does have copyrights, and if one uses, up to 200 words, I believe of their text, then you would have to get permission. For anyone to do that, is totally wrong. It is terrible. It is a warning from God Revelation 22:18. To not add, or take anything away. God will judge them. I am holding onto old KJV Bibles. Thanks for your thoughts, God bless your day. Thank you dear friend. Yes, the greed bothers me, but what has bothered me, is that this is not a known fact. And people, trust the integrity of a Bible, to see all the verses, from the King James. Yes, to have the original writings would be wonderful. But when they mess with the King James, which should be the most original writing, it does bother me. I just pray, people would recognize this, so they would not be deceived. In the time they read. Because it has been compromised. Thanks again… I receive your blessing. May Yahweh bless you as well, in your hearts desire. Thanks for your thoughts. Well, when I found out the discrepancies, as well, I was pretty shocked, myself, me and my hubby. Who wants watered down truth? I came from the notion, that the language would make it easier to read etc. But the truth of the matter is whenever, a word, is translated, it loses its true meaning, from the word of God. I have learned to actually pray, for God to reveal the meaning, so I don’t misinterpret His word. Thanks for your thoughts. I appreciate the kindness. I also have another blog, you might be interested in. Not sure, if it will link here, but its called: SCRIPTURE FOOD FOR THOUGHT. Feel free to sign up, for them, or any of my blogs. Blessings, and again, thank you. God bless you. you scripture (Psalms 12;6,7) this one speaks about the KJB ONLY! ! and this is why if any Bible has the word new in front of it YOU DON”T WANT IT!! is the bible for GLandTG That”s Gay Lesbians and transgender. they have to have a way to justify their sin. good luck with your study and remember Ephesians 6:12 and 2 Timothy 2:15. May the goodness of the Lord be with you always! Thank you Quentin, I appreciate the kind considerations. Plz share the link, so others may know this truth. God bless you, for writing. You’ve missed something important. The King James’ Version of the Bible was translated from the original Greek and Hebrew, as was the NIV version. NIV was not a revision of the KJV, so nothing was removed from the KJV. The next step in your investigation should be to visit a concordance to discern whether the inconsistencies you’ve found actual identify passages where the KJV translators got it wrong. Your “conspiracy” may have started there. Sir, I am aware, of the translations from Greek to Hebrew. So I did not miss that. But who has access to the original, where can one get that at your local store? As if that is the answer to the problem. And sir, the King James bible has been established for four hundred years. With no copyrights. Read Psalms 12:6-7, and read also Proverbs 30:5-6. The NIV is not a revision of the King James, it is its own version. With copy rights. There are scriptures missing. From the NIV that are in the King James. Why would I want to read something, that may be missing, or altered, in another version, when I have the full pure word in the King James? Why would anybody take a chance on the validity of something, when it is missing? I gave evidence of them in this post. Yes, I do use a concordance, but my concordance, is only referring to the King James version. If anything, my perspective is this. The other Bibles are no longer holy. There is no anointing, in these other false versions. They give a spirit of confusion, and water down the gospel. And more then anything, I take to heart Revelation 22:18-19, that one could lose their salvation, their right to the Holy city, and have their names removed from the Book of life. Read it yourself, from the King James. I appreciate your thoughts, but I will not argue about it. You may pick and choose what you want. But this is not up for debate. I know from God Himself, by His word, which is Holy and which is not. Elena, May the Lord bless you as you endeavour to enlighten the blind. I agree with you completely and am distraught over the misrepresentation and diluting of the Lords words. I have just recently returned to church and only read the KJV, however my dilemma is that the church in which I attend uses the NIV. Any thoughts on this matter. May the Lord’s light be your beacon. You are spot on friends. KJV BIBLE must be preferred above the rest. Kindly learn more from http://navicy.wix.com/understanding. I thank you sincerely.